Training Times: Wednesday, June 20, Registration 5:30-6:00 pm, Training 6:00-8:30 pm, Thursday and Friday, 9:00 am – 5:30 pm, Saturday, 9:00 am – 6:00 pm, Sunday, 9:00 am – 4:00 pm. Attendance required at all sessions. 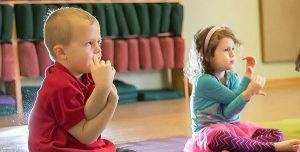 The 35 hour Foundations Training is focused on teaching children ages 3-11 and is appropriate for those looking to bring yoga into their current work with children. As the foundations piece to the 95 Hour Training Program, this training is the first step for those interested in teaching yoga to children. This enjoyable and engaging training will deepen your own practice and knowledge of yoga in addition to providing an integral foundation in understanding child development and how yoga promotes the growth and development of each child. 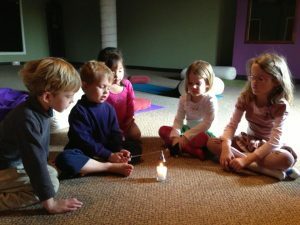 The Foundations Training provides hands-on experience teaching yoga to children and operating a children’s yoga program. Lecture and discussion will provide the necessary foundations of working with children as well as teaching yoga. 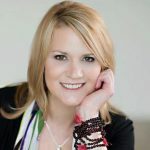 Participants will lead poses and games with the training group during posture clinics to gain confidence and experience. In addition, participants will observe a YTG class and work in groups to teach a 45 minute YTG class to a group of children. This applied experience is an important part of developing well-prepared and confident teachers. After completion of Foundations Training and reading assignments, participants will become Yoga to Grow Teachers. This training is the first step in the 95 Hour Registered YTG Teacher Training required to become a RCYT with Yoga Alliance. Pre-Requisites: 1 year of yoga practice and a desire to share yoga with children.